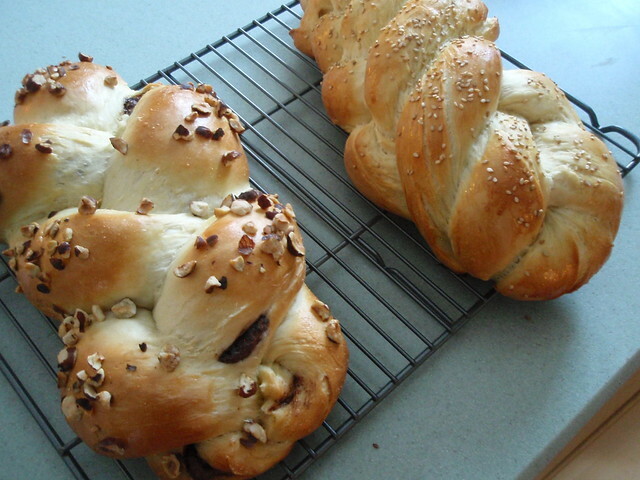 The challah that inspired this blog into existence is Nutella Challah. 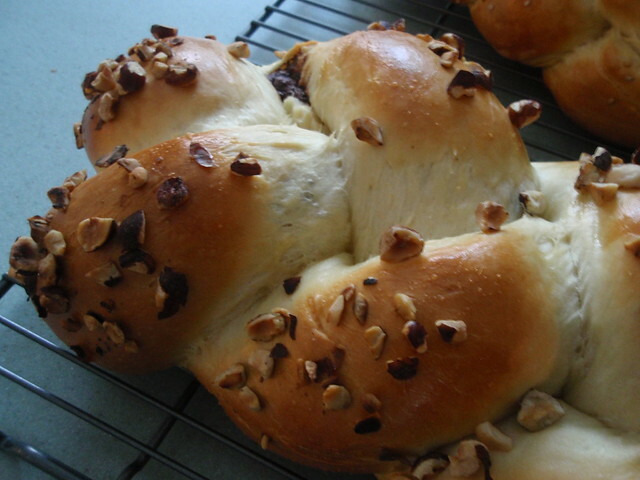 Nutella Challah is AMAZING. It's the best. 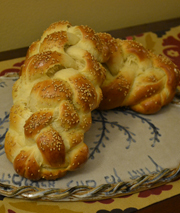 Use your favorite challah (feel free to use our Basic Challah recipe). 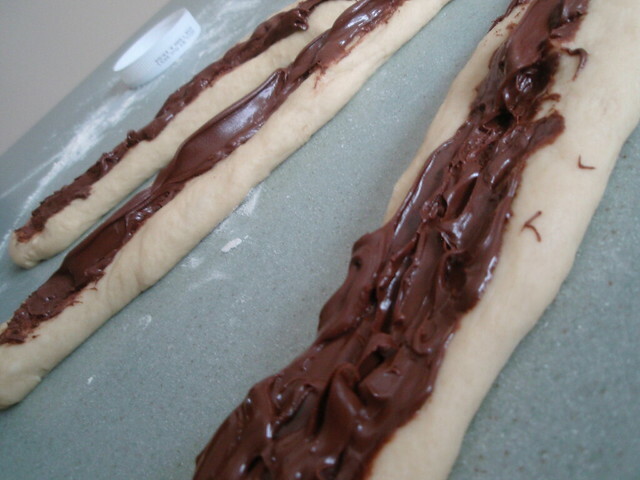 The Nutella is added during braiding. This method works best with short, somewhat fat three-stranded challot. Otherwise, you will end up with a Challah the Size of Your Head. Which is fine, really. But, really big! Stretch each strand. Using your fingertips, make a dent in the entire roll. Add the Nutella somewhat liberally using a spoon. Pinch each strand together with your fingertips. It's okay if a little squeezes out, but try to be as neat as possible. Braid, keeping the seams downward (toward the inside of the braid). I recommend using parchment paper instead on your pans when you bake Nutella Challah, otherwise, it may ooze all over your pan. Top with Dry Roasted Hazelnuts if you like. Bake at 350 for 30-35 minutes. Top with foil and keep in oven if top browns too fast. It's that easy! Enjoy!!! !